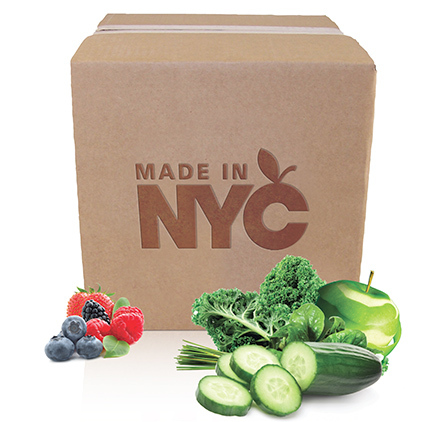 New York City is home to almost 7,000 small manufacturers employing 65,000 people. They make everything from pianos (Steinway in Queens) and landing gear for spacecraft (Vahl in Brooklyn) to food, beverage, fashion, film and furnishings which are the largest sectors within manufacturing. What this incredibly diverse community has in common is a commitment to producing high-quality, high-value products, often customized to meet the needs of particular consumers. Sadly, between 1997 and 2010 the manufacturing sector has hemorrhaged nearly 125,00 jobs due to rising operational costs and global competition. With that being said, we’re proud to claim that 3V has overcome these obstacles and is growing exponentially year after year. 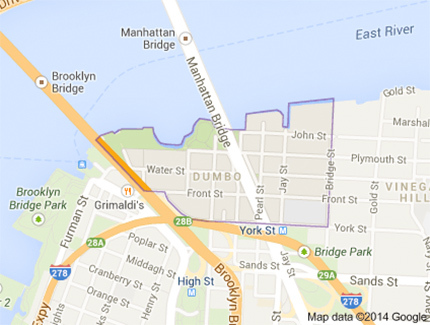 3V is located in DUMBO an acronym for Down Under the Manhattan Bridge Overpass. The area has emerged as one of New York City’s premier arts districts, with a cluster of for-profit art galleries such as the Klompching Gallery and such not-for-profit institutions as the St. Ann’s Warehouse and the A.I.R. Gallery. Chef Jacques Torres opened a chocolate factory in Dumbo in December 2000. Other culinary businesses in the area include Grimaldi’s, the Brooklyn Ice Cream Factory, and The River Café, all clustered in Fulton Landing. Dumbo has also New York City’s highest concentration of technology firms by neighborhood. Dumbo is home to 25 percent of New York City-based tech firms. Within a 10-block radius are 500 tech and creative firms that employ over 10,000 people! 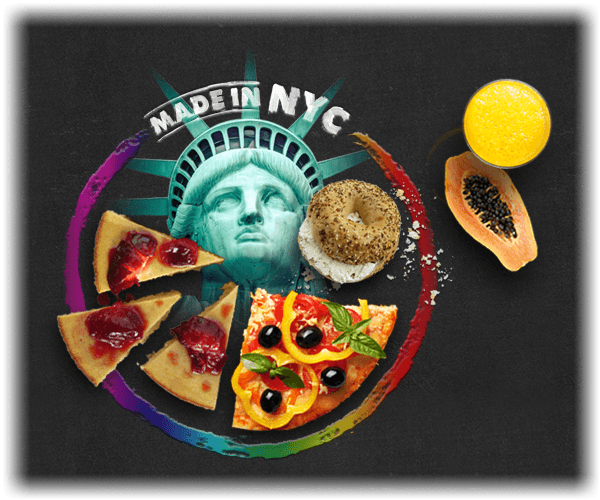 NYC is a great big test kitchen in which people from 150 countries recreate home dishes and inspire new cuisines in over 24,000 restaurants. With a population of 8.5 million people, and as many as 800 spoken languages, New York City exerts a significant impact upon commerce, finance, media, art, fashion, research, technology, education, and entertainment, and has been described as the cultural and financial capital of the world. 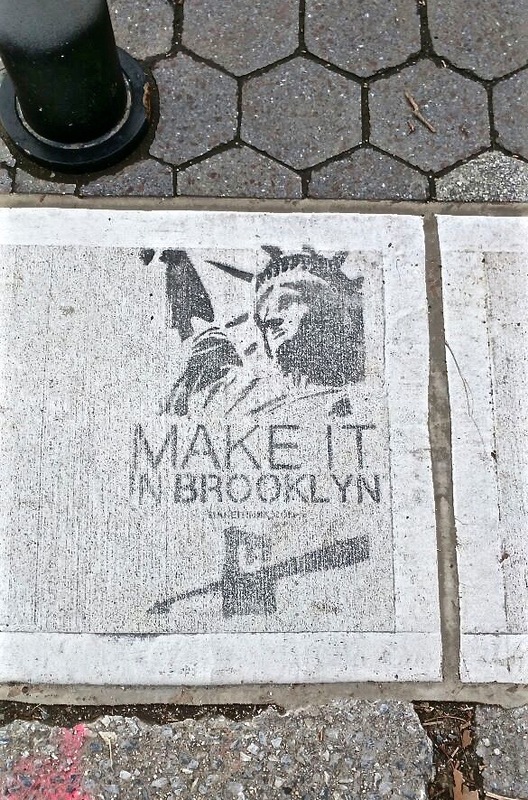 All our employees live in NYC and are influenced by its latest trends and progression. That is true for our R&D technicians who source the latest and hottest ingredients for our products, as well as our creative minds in marketing who work with local artists who captivate the spirit of NYC in their designs. You’ve heard the chatter before: New York City has some of the best drinking water in the country, and bottled water is unnecessary here. 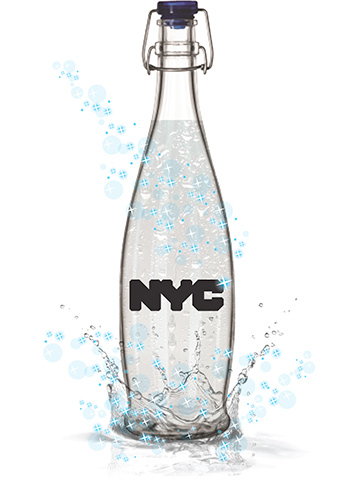 The truth is, New York City drinking water is world-renowned for its quality and ideal pH. New York’s finest water clocks in around 7.2 on the pH scale, or just about neutral (a pH of 7.0 is considered pure water). Each day, more than 1 billion gallons of fresh, crisp water is delivered from large upstate reservoirs 125 miles away from the city – to the taps of millions of New Yorkers and right into our products too! So whether or not you believe in urban legends about New York having the best bagels, pizza and breweries because of its water; there’s one thing you can be certain about: 3V has some of the most delicious and nutritious products you’ll ever try!